Malaria is a vector-borne life-threatening infectious disease. It is caused by protozoan parasites from the Plasmodium family and spread by the mosquito of the genus Anopheles. Individuals with the disease have repeated bouts of high fever, chills, shivering and flu-like symptoms. According to the World Health Organization, in 2012 an estimated 207 million clinical cases of malaria occurred worldwide resulting in 627,000 deaths. The disease is mosquito-borne and can only be transmitted from an affected person to another healthy person by mosquito bite. In some rare cases improperly sterilized injection needles had spread the infection. Malaria disease predominantly affects the red blood cells. The parasites enter the erythrocytes for their growth process. After undergoing development and asexual multiplication, they cause the death of the infected host cell and re-enter the bloodstream to infect more cells. Plasmodium species, P. falciparum, P. vivax, P. ovale and P. malariae are known to affect and infect. The babies of pregnant women affected by this infection, have low birth weight and decreased survivability. Prompt diagnosis and treatment, can cure the disease. 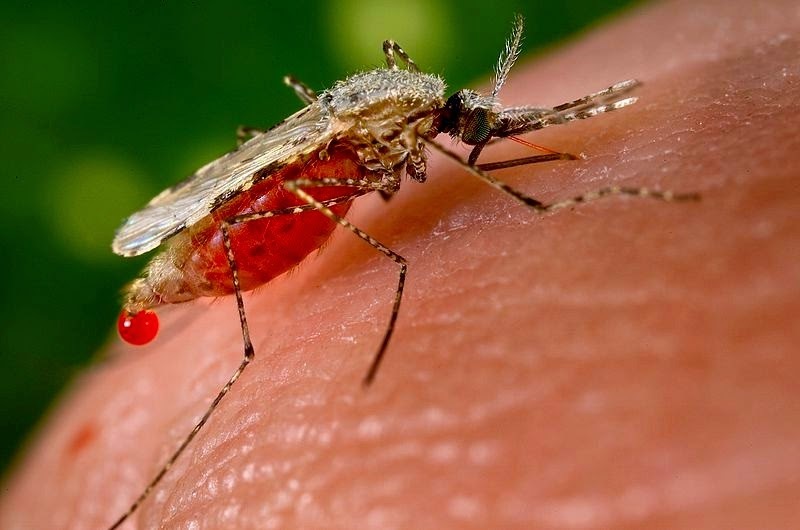 A malaria relapse is always possible as the parasite may not get totally eradicated and remain dormant in the liver to get reactivated after months or even years. Vaccines for the infection have been developed and are undergoing trials. Definition by thefreedictionary.com: "It is defined as a serious infectious disease spread by certain mosquitoes. It is most common in tropical climates. It is characterized by recurrent symptoms of chills, fever, and an enlarged spleen." Definition by medterms.com: "An infectious disease caused by protozoan parasites from the Plasmodium family that can be transmitted by the bite of the Anopheles mosquito or by a contaminated needle or transfusion." Definition by merriam-webster.com: "a serious disease that causes chills and fever and that is passed from one person to another by the bite of mosquitoes." The recorded * history of malaria dates back to circa 1323 BC. DNA analysis conducted in 2010 showed the presence of malaria in King Tutankhamun (ruled ca. 1332 BC – 1323 BC), an Egyptian pharaoh. The * life cycle of malaria parasite passes through two hosts. When an Anopheles mosquito ingests the blood of an infected person, the gametocytes of the parasite enter the mosquito's stomach and go through various stages to form sporozoites. The infected mosquito transmits the disease to a new human host. Sugar cane and cane sugar. Sugar beet and beet sugar. High fructose corn syrup production. Soft drinks and health effects. Tips to improve sleep hygiene. What is high-fructose corn syrup. What is a soft drink. Current topic in health and fitness tips: What is malaria disease and its definition.